Very excited to be invited back once again for the Tri856 Kick Off Party held this year at Aistriu in Marlton, NJ! We practically broke the seams of the Haddonfield Running Co last year, so in order to grow had to move over to Aistriu! 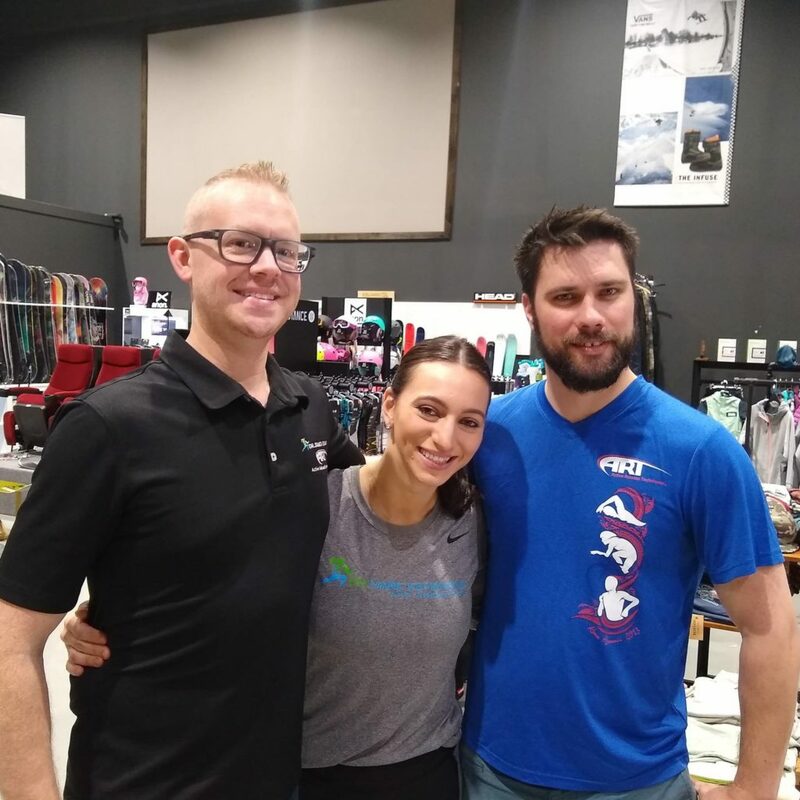 We are always thankful to our friends at the Running Co of Haddonfield for ALWAYS BEING THE BEST, but this club is growing by leaps and bounds in 2019! 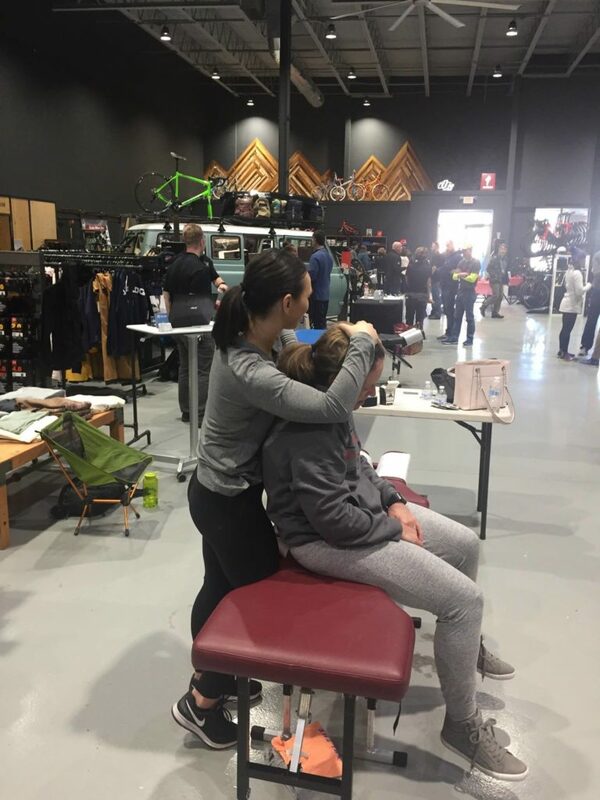 Triathletes, Triathlon coaches, Road Bikes, Mountain Bikes, Chiropractors and Physical Therapists all combined under one roof for more than a few reasons to chat all kinds of issues surrounding the sport of triathlon! If you were worried that we didn’t have any fun, just see the pictures below! Thank you SO VERY MUCH to Aistriu for hosting our event, not kicking us out for being corny and in general just being FANTASTIC HOSTS! Thank you SO VERY MUCH to Tri856 for making sure we were invited and had plenty of space to show off and demo Active Release Techniques! Thank you very much for placing us perfectly between two great physical therapy groups! We kept them from turning the opportunity to turn this into a physical therapist cage match (just kidding). 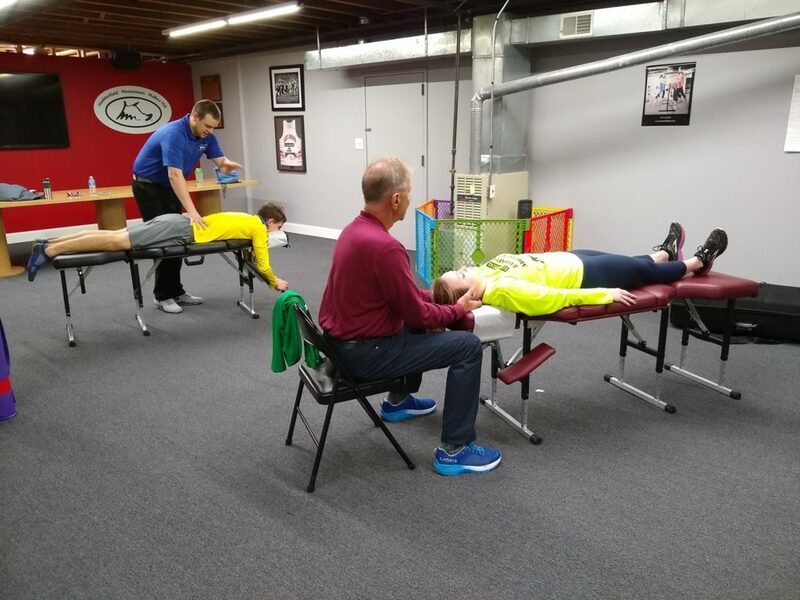 Reclaim Physical Therapy – Office right beside Aistriu in Marlton! 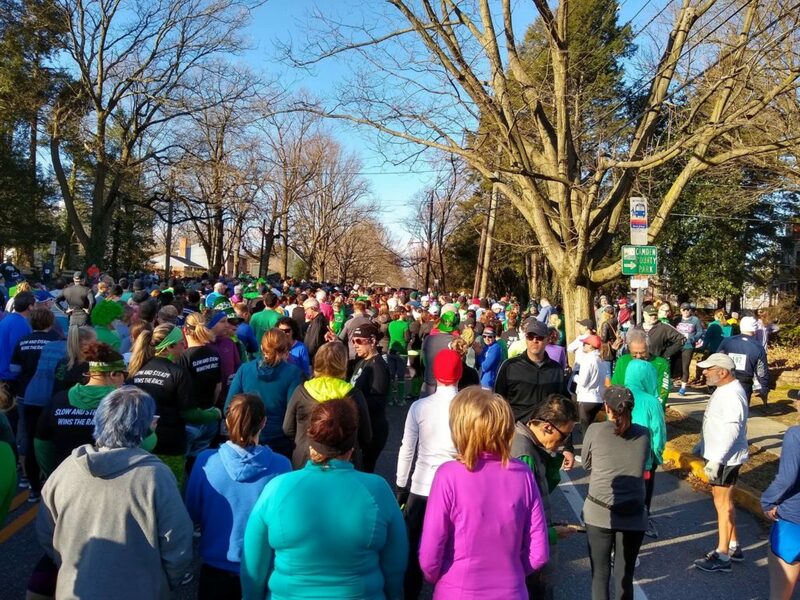 The Haddonfield Adrenaline 5K Race went off with a bang this year, just like it has every year in the past and will continue to do so in the future! Dr’s Trisha Sileo and Craig Evans both ran the race and held their own in different respective ways. 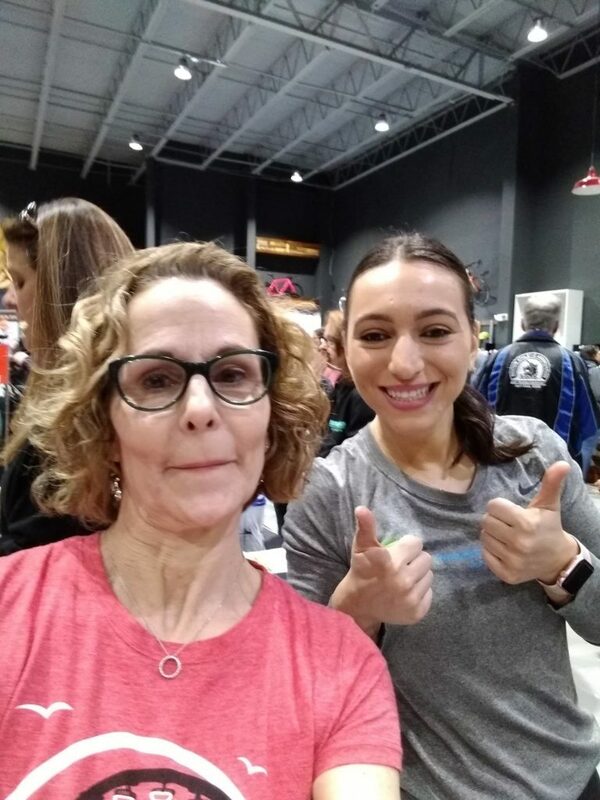 Dr. Trisha held a solid race long pace of about 30 seconds faster than she normally trains at during cardio races and Dr. Craig nearly pushed his daughters in the double stroller to a sub 30 minute total race which may likely be one of his best to date in the double stroller. Across the board times were very fast for the event and several men and women finished in sub 20 minutes which is a very good sign for the quality of field that a race like the Adrenaline Run brings out each year. The race quality is thankful for the concerted efforts of the Haddonfield Running Co and the best shoe sponsor around, Brooks Running! Dave and TJ always make the day great and outside support from running clubs like the SJAC (South Jersey Athletic Club), Pine Land Striders, Run856, Run215, Break Neck Running Club and the Bryn Mawr Running Clubs are always great to see. Various high school and college aged runners from various organizations are almost always present as well including Haddonfield High School, Haddon Township High School, Haddon Heights School, Cherry Hill East, Cherry Hill West, Cherokee, Lenape, Shawnee, Bishop Eustace and Camden Catholic were all represented to at least some extent! 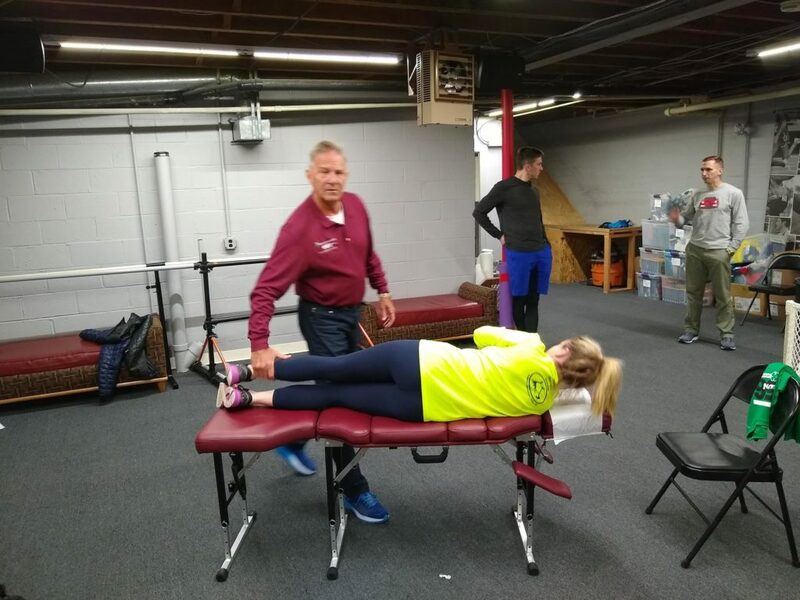 For us, some of the most fun comes after the race when we set up a few chiropractic tables in the basement of the Haddonfield Running Company and get to work using Active Release, IASTM, and our Chiropractic skills on most any runner who is or has been a patient. Talking running and working with runners to solve “runner probs” is more or less when of the best parts about this job! Thank you ten times over to the Haddonfield Running Co for hosting such an AWESOME race and letting us be a part of it now for 7 or 8 years straight! 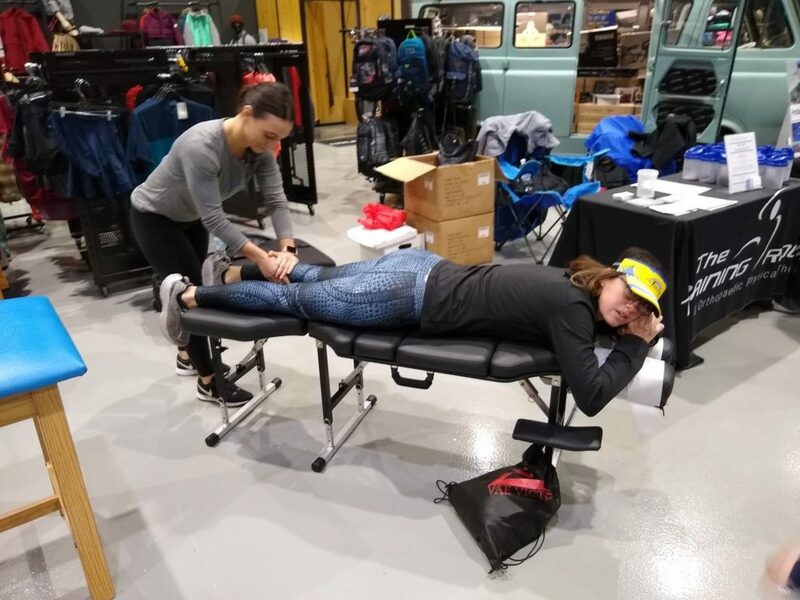 Here are some pictures of the post race Active Release being done in the basement of the Running Co, it’s sweaty, a lot of bad jokes are told and a lot of running injuries are discussed! Click on the thumbnails below for some priceless expressions. ALINE Systems Insoles have revolutionized the insole category with their multi-patented suspension zones, ribbed arches, and contour zones. ALINE orthotics are designed to enhance your performance through improved support and alignment of the foot, ankle and lower kinematic chain! The alignment of your body is critical to proper and healthy movement. Our patented ALINE Suspension Technology combines over 100 moving ribs, bio mechanically correct supports, engineered suspension zones, a heel cup and gel pad to place your body in the correct alignment at the correct times during activity. When you look at some of the less “performance minded” models of shoes from even the best sports shoe manufacturers, the amount of insole material supporting your arch is simply not good enough. In recent years, some running shoe manufactures have gotten better but often times soccer cleats, football cleats, baseball cleats, and high end basketball shoes are laughable when it comes to providing a proper or well fitted arch support. Over 1000 professional athletes from Football, Baseball, Basketball, Hockey, Adventure racing, Snowboarding, Skiing, Cycling, MMA, Golf and other sports are wearing ALINE today to improve their training and performance. More than 100 X-Games medals, 13 Professional Golf Tournaments and 12 Olympic medals have been won by athletes with ALINE under their feet. Recently ALINE’s golf insole technology has even led to changes in the way some golf pros recognize and adapt to ground reactive forces! Chiropractic care at Dr. Mark Kemenosh and Associates chiropractic clinic can diagnose and treat problems that affect the nerves, muscles, bones, and joints of your body, in the back and spine, or in the extremities as well. At a basic level a chiropractor will gently adjust your spine which often times brings relief of back pain when possible. At a deeper level chiropractors are doing much more than just adjusting or manipulation of the spine. After your initial visit and consultation your chiropractor at Dr. Mark Kemenosh and Associates, we will have a good idea of what your treatment plan is going to consist of. We almost always treat on the first day you see us because we are interested in getting you up and back to moving around as quickly as medically responsible. Dr. Mark Kemenosh and Associates chiropractic treatments can range from a few days to several weeks depending on the severity of your condition or the results you want to achieve. Chiropractic care can also be a lifelong choice to keep you on a path of well-being and solid core strength. 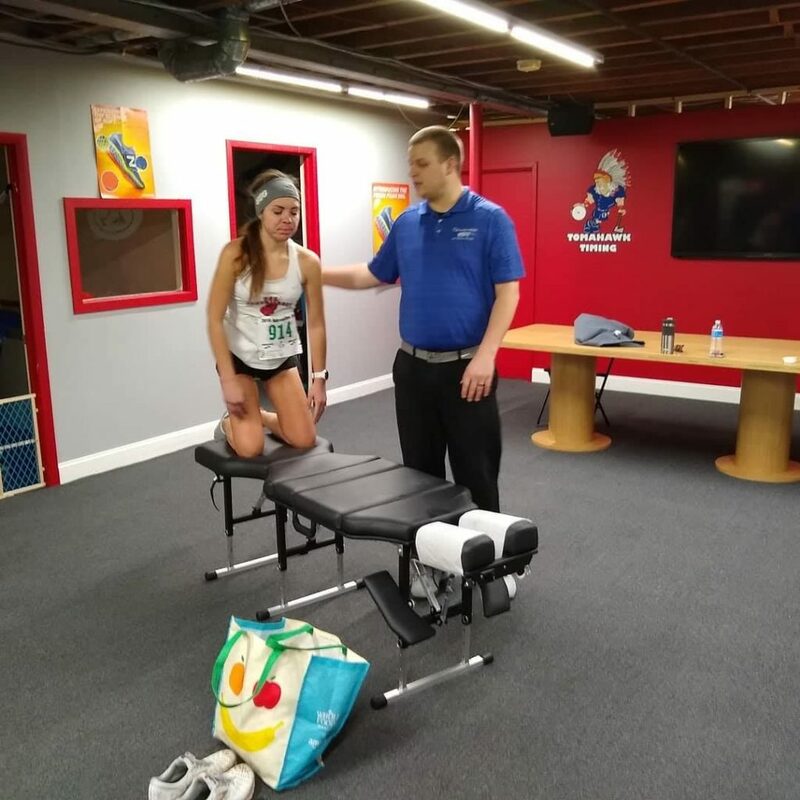 Many professional athletes continue to see a chiropractor even when there is no acute pain, as regular adjustments can keep you aligned and in peak form. 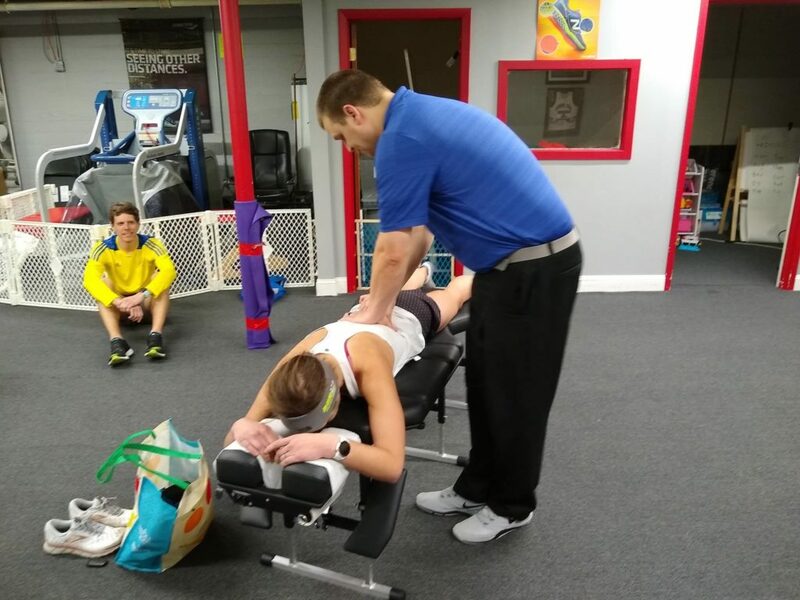 The Chiropractic team at Dr. Mark Kemenosh and Associates in various offices across South Jersey are not just there when it really hurts; they can be in your corner frequently, keeping your body’s systems communicating at a high level and keeping muscle and bone deterioration at bay. The back is a complex structure of bones, joints, ligaments, and muscles. Damage to any of the structures can lead to back pain, with various degrees of severity. Back pain has a long list of causes and we are all likely to suffer at some point in our lives from poor posture, obesity, or psychological stress. Each of these can lead to back pain or take it from a point of being able to manage yourself to need a professional team like our office to help you stay up right and moving freely without pain or discomfort. While this is not an exhaustive list of tips, it’s a good starting point on the road to optimum back health. Contact our awesome team of Chiropractic Physcians today for more information. 856.228.3100 has been our phone number for over 30 years! Our offices are located in Mount Laurel, Haddonfield, Laurel Springs (Blackwood and Clementon borders on Chews Landing Road), Sewell, and Somers Point, New Jersey! This enables our team to do our best to service most of South Jersey! Have you ever heard of a slipped disc? It’s a misnomer. Discs almost never truly “slip”, but they can often times bulge or herniate. When they do, our team can almost always be able to help. Intervertebral disc disorders are referred to as “contained” or “non-contained.” A bulging disc is considered a contained disc disorder. A bulging disc is actually the tough outer layer of cartilage in between your vertebrae that has not fully broken open – think of squeezing a balloon filled with hair gel. The disc may protrude into the spinal canal without pain or breaking open, instead, a small bubble pops out but remains attached to the disc. Discs are exactly the right size to fit between your vertebrae so when a disc bulges, it extends outside the space it should normally occupy and can push into nerves in your spinal column. Bulging is considered part of the normal aging process of the disc making bulging discs an extremely common spinal injury. A bulging disc can stay relatively pain free and undetected until you twist the wrong way, lift the wrong object, sneeze, or cough. A bulging disc can cause excruciating pain, lead to a diminished range of motion, and can in some cases cause organ dysfunction. The good news is that even an acute disc bulge can heal itself over time and your chiropractor can likely help the healing process happen more efficiently. Develop a relationship with the team at our office! There are many bulging disc treatments; talk to your chiropractor and ask questions about your MRI or X-ray. Everyone is different and a good chiropractor can help you find the correct wellness path and will not close off any avenue to get you well. In our office we offer several diffferent methods of Chiropractic, Active Release Technique, Cox Flexion Distraction Technique and many others for helping you deal with the pain and related issues of discal problems. Reduce or eliminate bending, lifting, twisting and even sitting for too long. Sleep on your back with your knees propped up, or on your side with a pillow between your legs. These simple adjustments will ease the stress on the disc in question. We often overlook something as basic as good posture in cases of a disc related issue, but it is paramount to keep the disc as centered and comfortable with the loads being distrubuted evenly. Your abdominal muscles and leg muscles all support your back. While the core was once thought to only be the abdominal muscles, we now commonly refer to the core as being everything from the diaphragm which attaches to your thoracic spine. Modified yoga or Pilates routines that eliminate twisting, stooping or bending can help heal your bulging disc or help to prevent further damage. 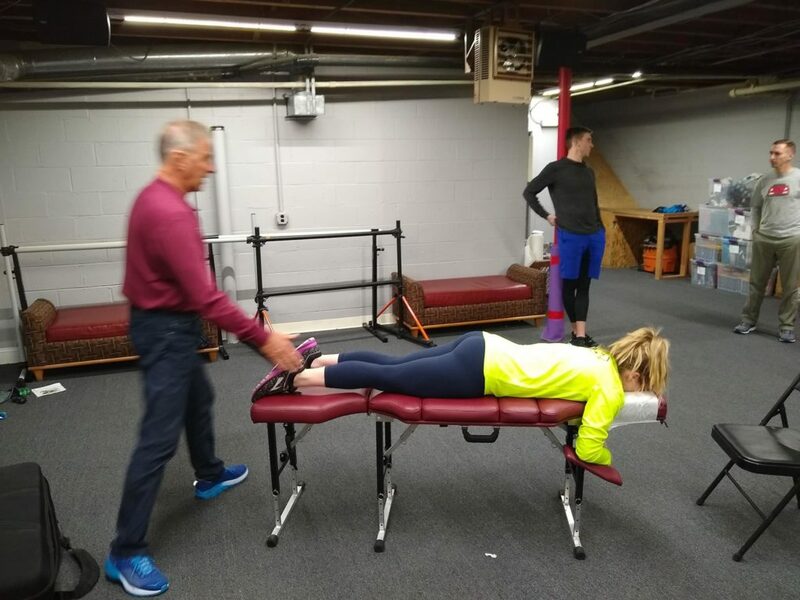 Our pilates team in Mount Laurel offers modified courses in ELDOA and Pilates which target specific types of back pain related disorders as well. If you have questions and need to email our doctors, please use the Contact Us Page on our website today! To visit the website for our Pilates – Barre – ELDOA clases, please visit Frame Work Bodies today! Jan 22 Comments Off on Sciatic pain HELP! 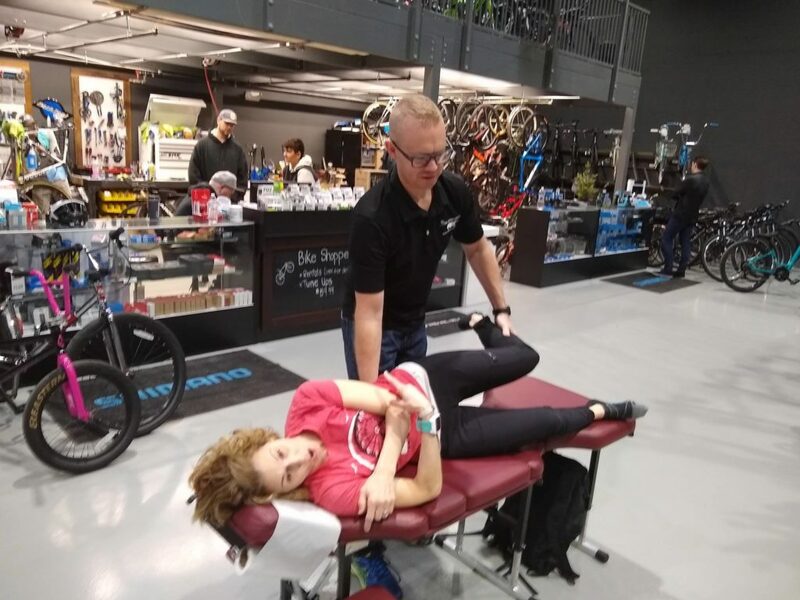 Suffering with pain down your leg, please read this following blog post! Sciatic pain HELP! 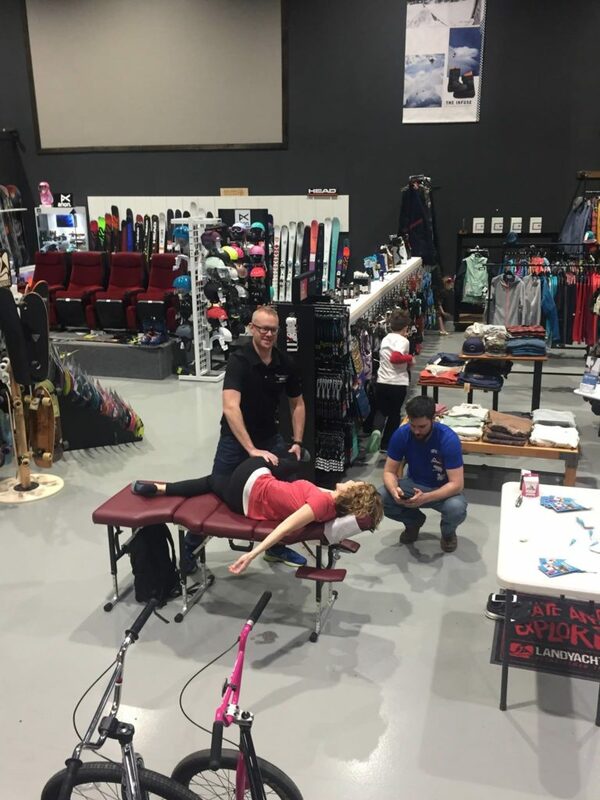 Suffering with pain down your leg, please read this following blog post! Sciatic pain HELP! Yes, our office can almost always greatly improve that pain you are struggling with! Sciatica is a condition that is often misdiagnosed and attributed to any intense lower back pain. Any pain in the lower back that limits your movement or stops you from enjoying life requires attention, but not all lower back pain is sciatic pain. 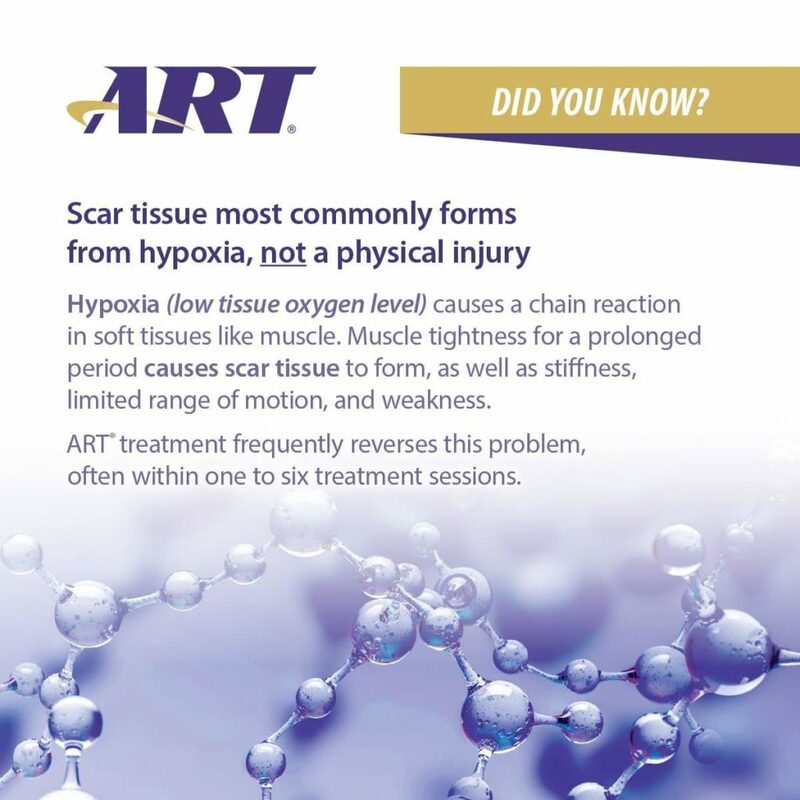 This type of pain is unique and while it can be debilitating, it can be helped by our team here at Dr Mark Kemenosh and Associates. Your sciatic nerve runs from your lower back, downward through your buttocks, and into the back of each leg. It is the longest nerve in your body and the widest, controlling the muscles in your lower legs. It also provides sensation to your legs and soles of your feet. When someone suffers from sciatica it means they feel persistent pain along their sciatic nerve. Besides sharp pain, sciatica sufferers may experience dull aches, tingling, numbness, or even a burning sensation. The pain and other feelings are typically felt on just one side of the body. People between 30 and 50 are most likely to suffer from sciatica, and the symptoms are usually attributed to basic wear and tear rather than a specific injury. Sciatic pain often gets worse after prolonged sitting, physical activity, sneezing, coughing, or other sudden movements. People suffering from intense sciatic pain will often try just about anything to make it go away, but the problem with many conventional treatments is that they simply mask the symptoms with pain medication or muscle relaxants. A chiropractor will work to find the cause of your pain, and if it is determined to be sciatica, treatment will begin to relieve some of the pressure on the nerve. Many patients prefer chiropractic treatment because it is completely non-invasive and drug-free. People tend to be wary of more invasive treatments where their spine is concerned. And most people figure out quickly that taking pain medications is only covering up a symptom, and not really getting to the heart of the issue. Of course, you can always help yourself when it comes to lower back pain. Sciatica can’t always be prevented, but if you work to maintain a healthy weight, watch your posture, avoid prolonged periods of sitting, use proper lifting technique, and exercise regularly you’ll be giving yourself a good head start. These tips, combined with treatment from our chiropractic team at Dr Mark Kemenosh and Associates will help make your sciatic pain a thing of the past. If you’ve ever been in a major (or minor) car accident, you know that it can be a traumatizing and life changing experience. Even accidents at low speed that cause minimal injury (or none that can be detected at the time) can be potentially harmful. An injury to your neck or spine can be masked by adrenaline and stress. In short, you may be injured and not know it yet. A common line that we often hear in our office is “I was too worried about my passengers or my car to realize that I was hurting until the next day”. Follow these simple car accident tips to get better in a timely manner. To reduce future pain or discomfort, whiplash should be evaluated within 72 hours by a medical professional when ever necessary! Just because your car is not damaged does not mean you’re not. Bumpers take a lot of the force of a slow moving impact, but not all. The force has to travel somewhere and it travels through you. If in doubt always consult our chiropractic team first. The phone number at our main office has been 856.228.3100 for over 30 years. Seat belts prevent you from being thrown against the steering wheel and from being thrown out of the car. You are, however, thrown against the belt. Shoulder injuries and whiplash are common symptoms and should be addressed by a qualified chiropractor. Pain can take up to 10 days to show up after the most minor of car accidents. In particular, injuries to muscles, ligaments, and tendons can take several days to manifest. Even minor to moderate accident-related injuries can take up to 3 months of regular chiropractic treatment to show tangible and lasting relief from pain. When you are in a car accident you are often jarred forward unexpectedly, making your head and neck especially vulnerable. After a car accident it is always advisable to see your doctor as soon as possible. For more information contact our office at 856.228.3100 or use the CONTACT US LINK on our website anytime! Joe’s Run 5k — Joseph L. Manghan IV was a talented Pennsauken grad who fought a long, hard fight to annihilate Ewing’s Sarcoma. He was 23 years old when he passed in 2018. Joe’s Run is dedicated to his fond memory, and is a fun, scenic race which will raise scholarship money for a deserving Pennsauken Graphic Arts student. The Pennsauken Cross Country team has jumped on board to help prep a fun, slightly less intricate version of their 5k high school racing course at the Palmyra, New Jersey Nature Cove. Patrick Rodio is the overall organizer of the race. *** PLEASE NOTE – There will also be an option to walk an alternate route! That’s right, you can run the 5k race or walk a slightly varied trail as well! Awards for Overall Male and Female, plus 1st place medals for male and female in under 12, 13-19, 20-29, 30-39, 40-49, 50-59, 60-69, and 70+. Early registration is $20 (until 11:59pm on 3/1/19), and $25 the day of the race. All questions are welcomed at the following FACEBOOK EVENT PAGE! Please share this race! As of 01/19/2019 we had around 80 people signed up and we look to make this race into a high competitive and FUN race in honor of Joe. Dr. Craig Evans and his wife Lauren are already signed up for this race! We look forward to running and supporting the ever growing running community in South Jersey! The course starts and finishes at the Palmyra Nature Cove Welcome Center. This 5k course covers mixed surfaces, including gravel, grass and dirt trails, and some pavement. It is similar to that of a cross country course. In fact, the Cove is where Pennsauken High School hosts its home cross country races. The start and finish run on the main Cove Trail, parallel to the Delaware River. Other highlights include loops past Bullfrog Pond and Beaver Pond. You are sure to spot some wildlife during the race, such as deer and turkeys. The 1st mile (red line) goes out on the Cove trail, with the Delaware River on your right. It loops around the Dredge Retention Basin (aka “The Square”) and comes back toward the start. The 2nd mile (blue line) loops around Bullfrog Pond, and then heads out on the only stretch of pavement on the course, and eventually picks up the Perimeter Trail. The 3rd mile (black line) continues on the Perimeter Trail, past Beaver Pond, until you make the final right turn onto the Cove Trail. The final half mile of the course follows the Cove Trail (now with the Delaware River on your left) all the way back to the Welcome Center. Follow the link HERE for a more detailed Google Map of the course. We have great news South Jersey back pain sufferers! Cox Technic is now fully ready to take off at our offices! We are very excited to announce that we now have two full blown Cox 8 Flexion Distraction tables available to our patients. The Cox 8 tables are located in Mount Laurel and Laurel Springs. The tables are truly state of the art and unlike most anything that is offered in our region, period. 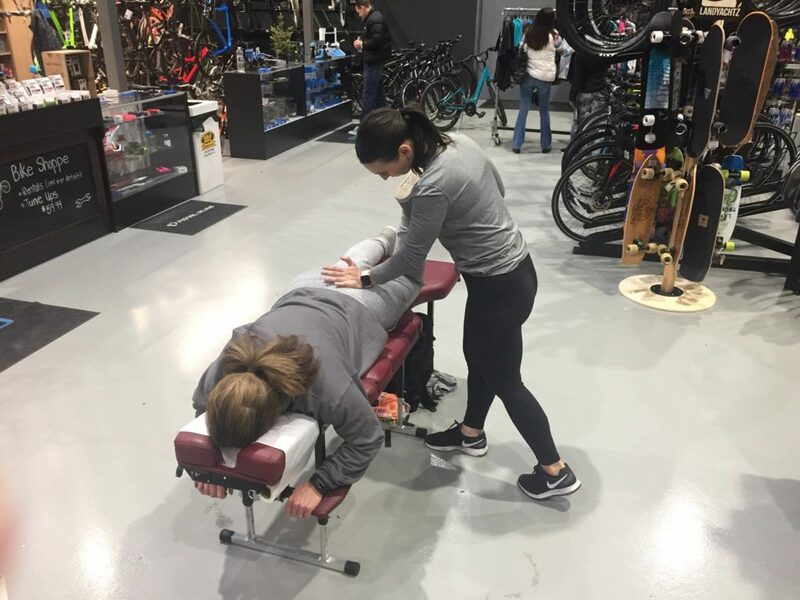 We also offer lumbar only flexion distraction tables at our Haddonfield and Somers Point locations as well. 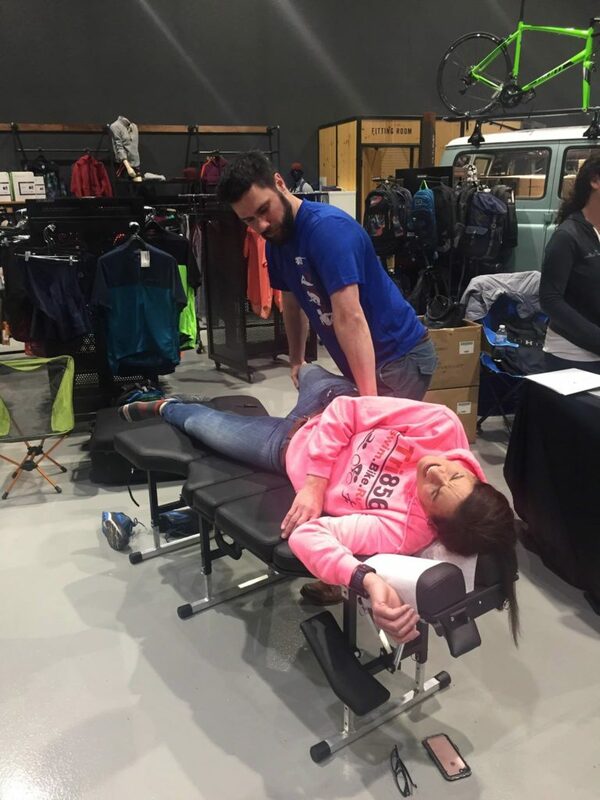 Cox® Technic is non-surgical, doctor-controlled, hands-on spinal manipulation performed with the patient lying on The Cox® Table, our proprietary, specially designed chiropractic instrument. This table permits the effective administration of flexion-distraction and decompression adjustment and manipulation. 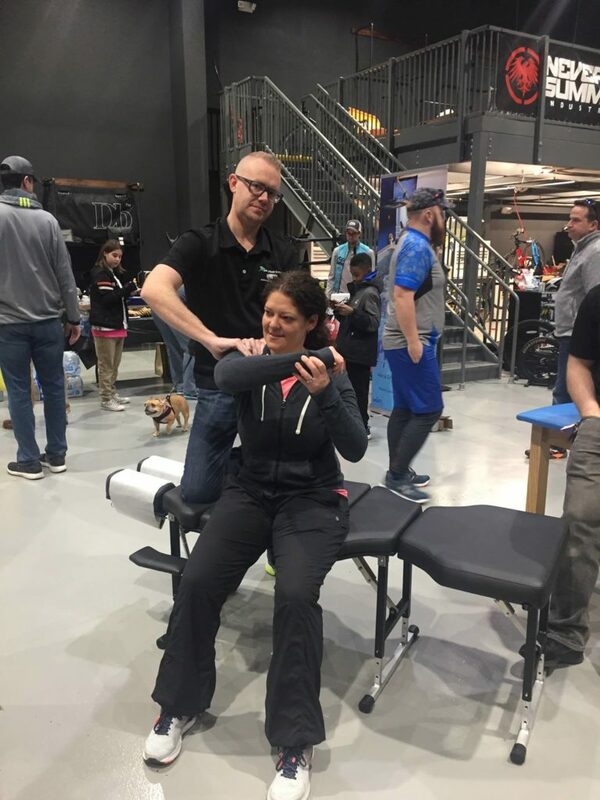 The goal of Cox® Technic is to help the spinal pain patient go from “pain” to “no pain” as quickly as possible following the “rule of 50%” which governs the Cox® Technic System of Spinal Pain Management. — other conditions of the spine and hips / shoulders producing varying issues into the extremities commonly referred to as sciatica or shooting pain. 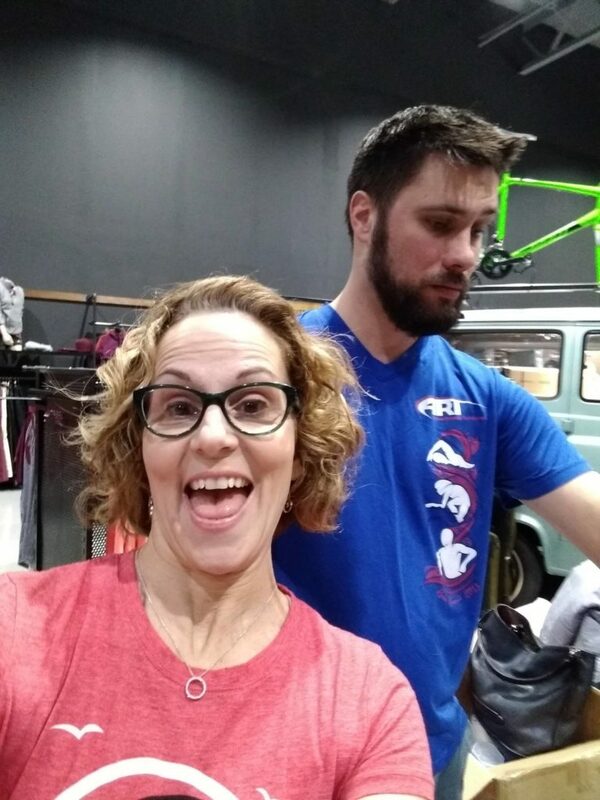 Nov 13 Comments Off on Framework Pilates ONE YEAR Anniversary & Lululemon Trunk Show! 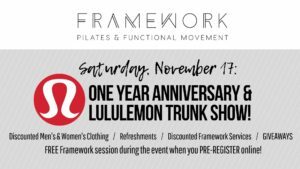 Framework Pilates ONE YEAR Anniversary & Lululemon Trunk Show! Framework Pilates One Year Anniversary is COMING UP QUICK! 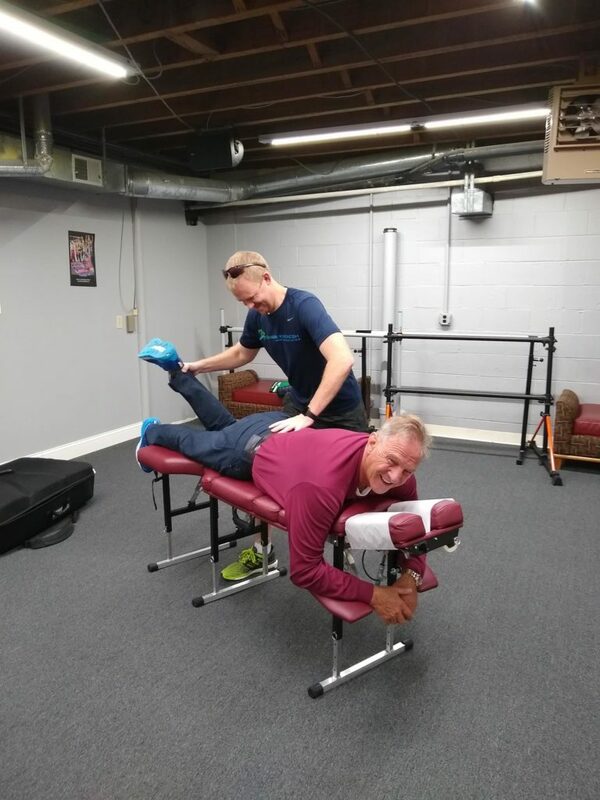 Can you believe it’s been a little over one year for our office in Mount Laurel, New jersey for Chiropractic, Active Release, and Cox Technique! It has been exactly one year for the Pilates/ELDOA side of the office! Congrats Framework Pilates! This same Saturday last year is when we celebrated this offices Grand Opening. The office is going great! 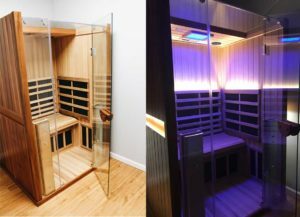 We have classes running daily for ELDOA, Pilates, the Infrared Sauna and many other options like Barre! The Chiropractic side of the office is now open five full days a week! Last summer we were open two days per week by comparison, so in a little under one year we now have at times two doctors working in the Mount Laurel office! So, as a BIG THANK YOU to everyone, Framework Pilates is hosting a BIG one year anniversary event this SATURDAY, 11/17/2018 with demo classes featuring Pilates and ELDOA as well as some small bites and a Lululemon Trunk Show! Please use the Facebook event page if you are planning on attending! We really hope you can make it and we need at least a rough count of how many will be attending.